In this video series Episode 1 to 4, Shane takes us into how he prepares Salmon Marsala – behind the scenes “In the Kitchen”. Here in Episode 4, Shane shows us how he pairs and plates salmon with bone marrow, potatoes and marsala sauce, and to the finishing plating. 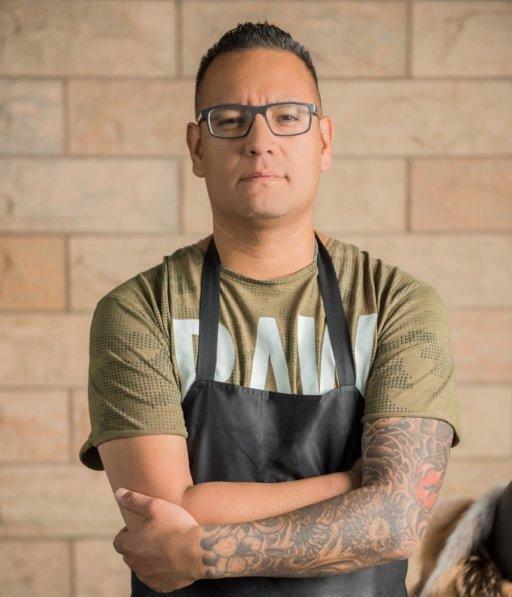 Chef Chartrand is a celebrated chef from Enoch First Nation – working consistently to ensure Canadian Indigenous cuisine becomes a big part of the regional food scene. Growing up with his adopted Métis family on acreage outside of Red Deer offered an early life in a rural setting. Hunting and fishing with his father laid the groundwork for his research into the traditional foods. After moving to Edmonton for culinary training, he has spent most of his adult life honing his craft. 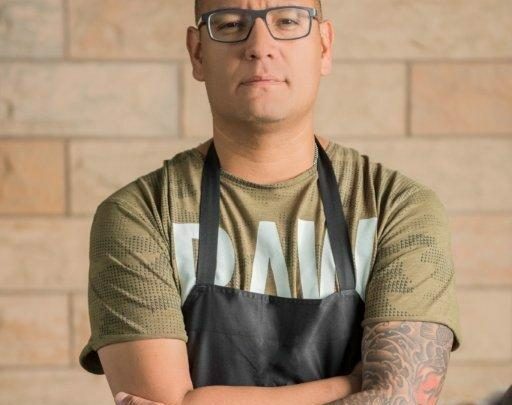 Working with award-winning chefs, training in some of the best restaurants and hotels, and developing new recipes and food concepts, he has furthered his culinary skills and has breathed new life into his Indigenous heritage recipes – introducing them to a whole new generation in a fresh and innovative manner. Chef Chartrand is community minded and supports charities such as Kids with Cancer, the MAKE-A-WISH foundation, and CNIB. Teaching cooking to Indigenous youth reminds him that success is not dependent upon credentials and experience, but also how much is offered back to build and foster one’s own community. Culinary competitions have motivated Chef Chartrand and pushed his experience past what he initially thought possible. He now spends time trying to change the face and interest of Indigenous cuisine to promote mainstream First Nations Culinary Arts.